The Viejas Band of Kumeyaay Indians has continually innovated since purchasing its Alpine, California reservation land in 1932. The Viejas Bingo Room opened in 1977 and the original Viejas Casino premiered in 1991. It later incorporated the bingo hall into the property in 1994. After a $19 million casino renovation in 2006, the tribe negotiated a modified casino compact with then-California Governor Arnold Schwarzenegger. The amended agreement permitted Viejas to install unlimited slot machines in exchange for higher state payments. The signing of that compact paved the way for future growth and the Viejas tribe has twice expanded since 2011. A new hotel in 2013 was followed by a second hotel in October 2015. The facility's 10,000-square-foot casino floor and new gaming machines necessitated 2,500 additional slot machine chairs. Vice President of Slot Operations Rich Marino was responsible selecting the best seating. As he had done before as a longtime fan, Marino chose Gasser Chair. He first interacted with the company at the Mandalay Bay's March 1999 opening in Las Vegas. Although Marino admits to favoring Gasser products, he states he objectively evaluated all competitors' seating. "Many companies build a beautiful chair, but my prime concern is always base design functionality. 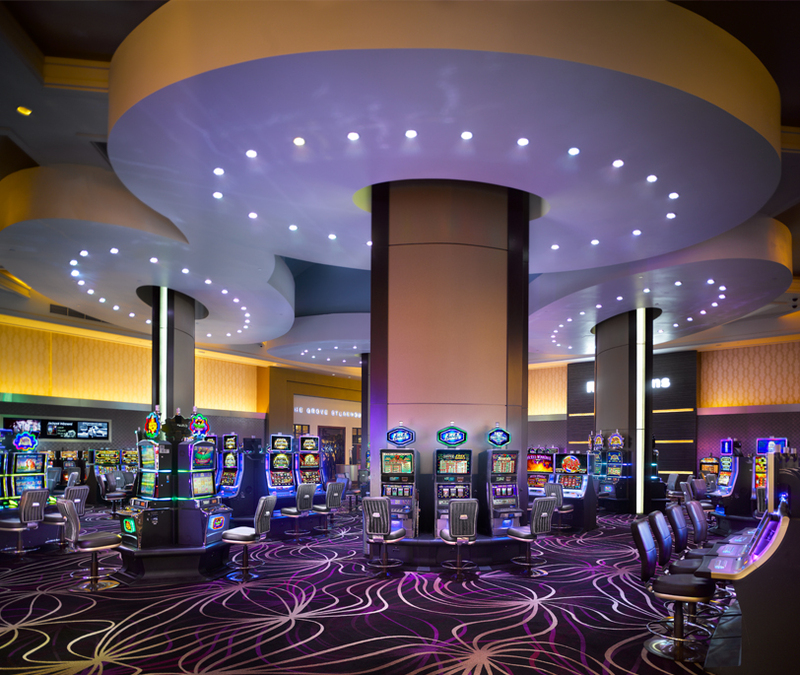 Casinos usually replace sturdy chairs when a new design element is introduced. At $400-$500 each, Gasser may not be the least expensive seat, but they are the most durable and high quality. Although they offer hundreds of attractive elements, the decision always starts with functional design. Multiple vendors submitted seating, but after comparing chairs placed side by side I still chose Gasser. The chair's superior hydraulics and contour offer excellent ease of movement. I attribute this to the metal design of their patented Halo™ base. Thick carpets typically hinder motion, but Gasser chairs move like a dream," says Marino. He divided the purchase into two phases. The initial 1,000 chairs arrived in October 2015; the final 1,500 chairs were ordered in January 2016. Marino and Director of Project Development Robert Scannell collaborated on the final selection. Over the years, they have worked closely to transition the Viejas property from what Scannell describes as a "typical locals casino" to a four-diamond resort. Scannell says, "I joined Viejas in 1999 and have since witnessed the maturation of Indian gaming. Since 2011, we have consciously strived to create a true resort that is no longer one of the crowd. How have we successfully developed such a sophisticated property? By differentiating our Viejas quality and not aiming to offer a party atmosphere. Instead, we focus on the function, finishes, fixtures and elegance. Rich and I want to showcase quality natural materials in deeper, richer colors to match the customers' experience. All must blend together to tell a complete story." Neither Marino nor Scannell were willing to sacrifice one element of the chair for another. They both insisted that the chair offer everything. Scannell states, "Function topped our criteria, but the visual and tactile aspects of seating cannot be minimized. Gasser offers infinite possibilities, but designers should always incorporate practicality into their selections. Correcting some past unreliable mechanics, these new chairs have a great range of motion across the floor. 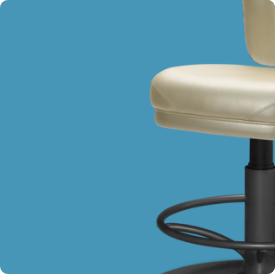 We would certainly help our older customers reposition a chair if necessary, but our goal was to provide freedom of movement whenever they needed it." Much thought went into the design process to create a visually appealing balance. 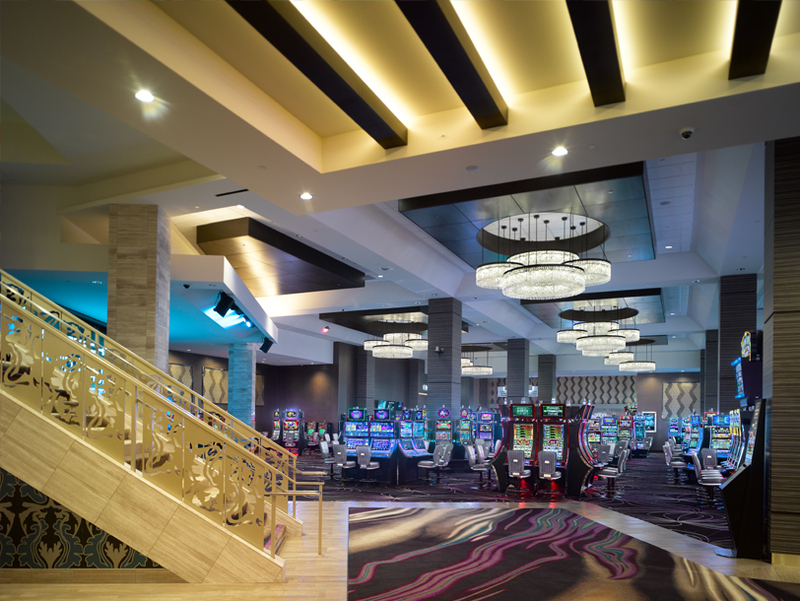 Scannell says it requires comprehensive planning for the chairs to complement the casino's slot machine colors, carpet and lighting. He says they refused to 'cheap out' by just throwing money at a project. Factoring in only the cost is never the right approach. "Each chair feels elegant and uses a breathable vinyl. We used a soft, pleasing textured vinyl on the back since it gets little wear. The bronze rim and handle on the back is easily visible and adds richness to the chair," says Scannell. Large orders can potentially have significant repair issues, but Marino says he rarely experiences a malfunction with a Gasser chair. Any maintenance problems are typically minor and easily addressed by the Viejas maintenance staff. Marino also appreciated how expeditiously Gasser Chair turned his order around. Once the buying decision was finalized, the first 1,000 chairs arrived within six weeks. "Our customers immediately loved the chairs and provided invaluable feedback. We then ordered another 1,500. The tribal gaming commission checks all receivables on tribal properties, potentially making delivery more complicated. Tom York, our great Gasser rep, facilitated everything and was always amicable during the multi-day process," states Marino. After enjoying this positive purchasing experience, Marino and Scannell look forward to their Gasser chairs providing many years of good service and customer satisfaction.